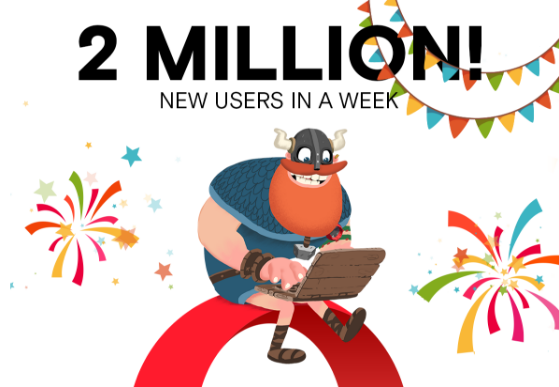 Today, we’ve released Opera 22 for Windows and Mac – a safe and highly compatible browser that gives you one of the best experiences of the web. 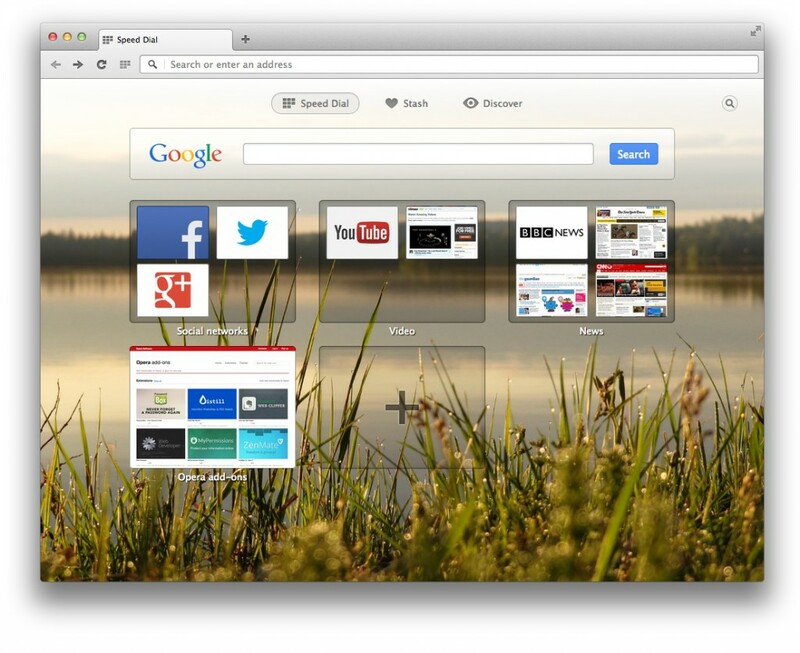 Not only is Opera fast and powerful, it’s also beautiful. If you’re already running Opera, you will receive this update automatically. We have gone through considerable effort to make Opera look slick and modern, while still blending in nicely with its surroundings. Since our browser was born in Norway, we decided to take Opera’s look a step further by selecting five new, inspiring themes that showcase the local scenery. They complement Opera and add a touch of Scandinavian style to your desktop. We hope you like them as much as we do! 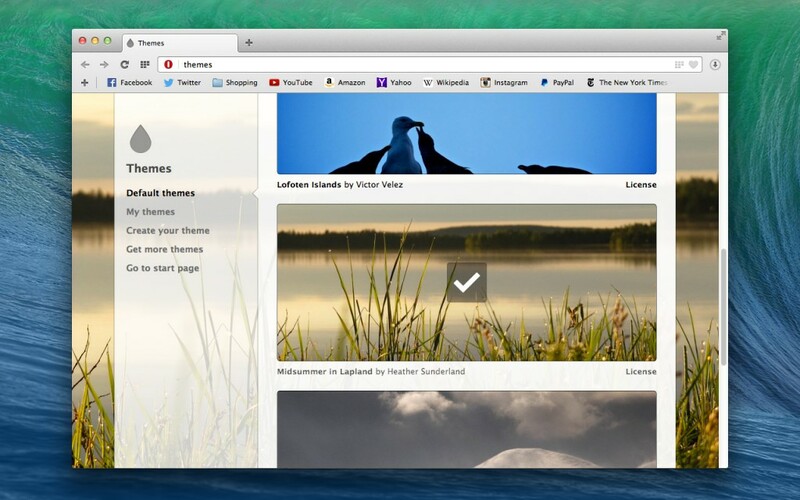 For an even greater selection, drop by the themes section of the Opera add-ons site. You can also set any image you find online as a theme by right-clicking on it and selecting Use Image as Theme. It’s very important to update your browser regularly, to keep you safe and secure when surfing the web. 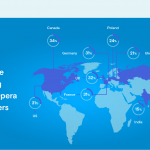 To help, Opera releases a new version every few weeks. While updating is necessary, we know how annoying it can be to have windows popping up asking for your password just to update your browser. This is especially true when you are immersed in your favorite website. 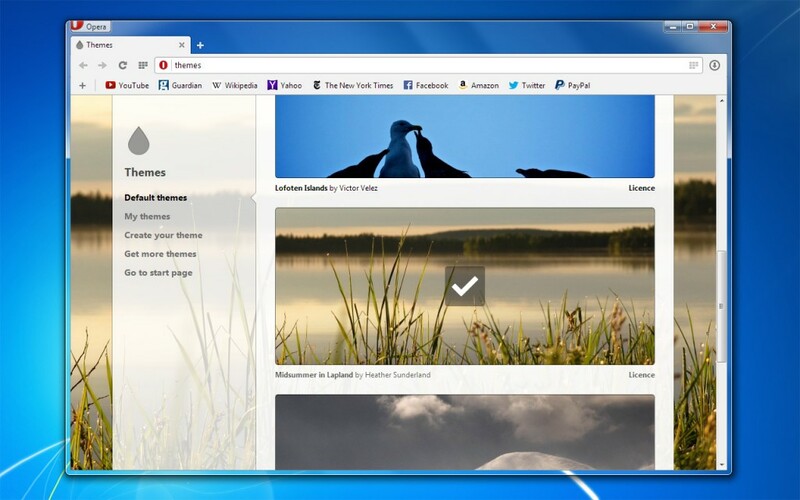 With Opera 22, we have introduced a new silent-update mechanism on Opera for Windows. This update will be the very last time you seen that irritating authentication dialog while surfing the net. From now on, you can browse away without distraction, and feel safe knowing Opera is always up to date and secure. We have also introduced a technology to reduce the size of the updates, which means that updating Opera uses less bandwidth. If you are interested in the technical details of these installer changes, read our earlier developer blog post. For the long list of changes refer to the Opera 22 Changelog.